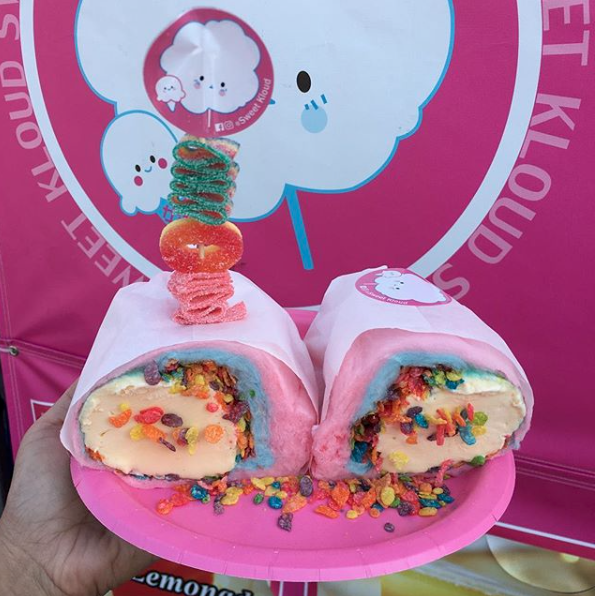 Who knew cotton candy and burrito will go in the same sentence? Yes, this new odd combination made possible by a dessert shop in Ontario, Canada called Sugar Sugar, and it will surely tickle your tastebuds. 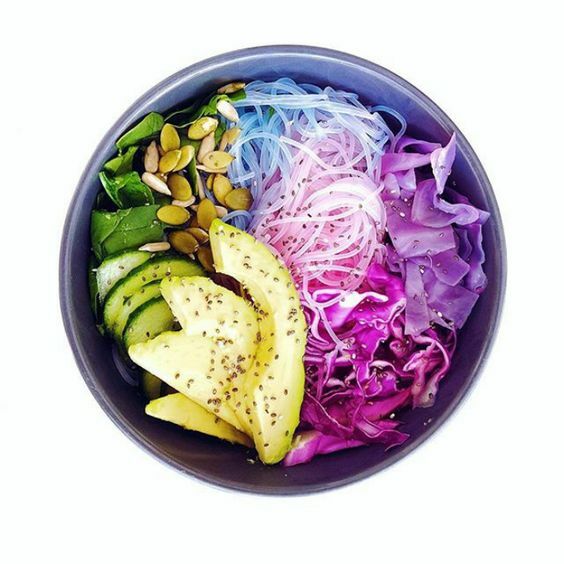 But it’s really not the kind of burrito you are thinking of. 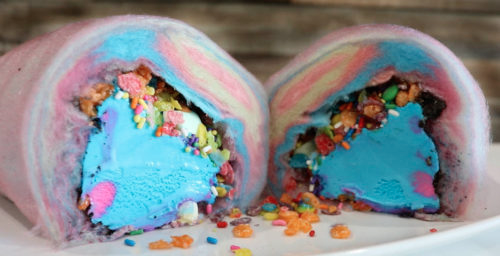 It is a dessert made up of multiple ice cream scoops tucked inside a flattened cloud of pink, yellow, and/or baby blue cotton candy. The ice cream is sprinkled with various ice cream toppings like: cereal, candy, sprinkles, and everything nice. 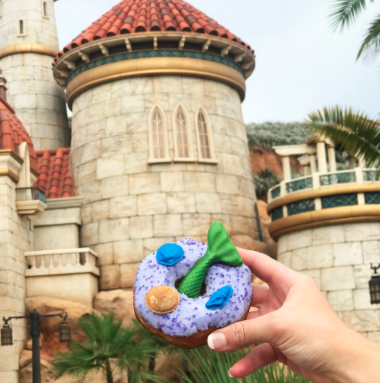 Your favorite mythical creature comes in a soft, cake donut on a bed of sweet icing, white chocolate, and candy toppings. This can be found in Disney parks and it is inspired by the trinkets in Ariel’s underwater treasure chests. 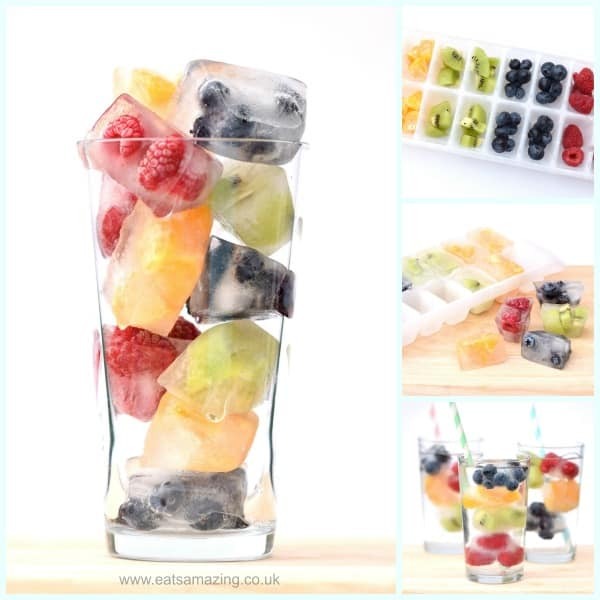 Perfect to cool you down and quench your thirst, this fruity drink isn’t just your typical squeezed or blended type. 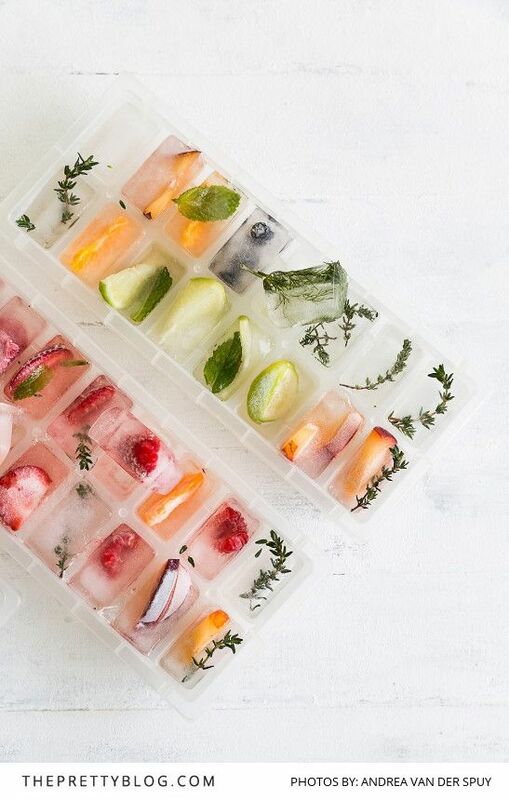 The fruits are frozen in little cubes and mixed in soda. 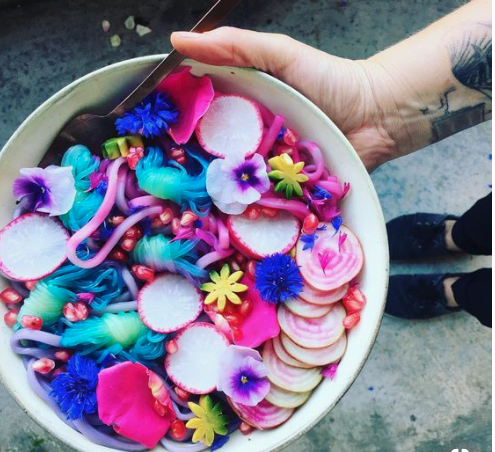 This list wouldn’t be complete without a unicorn-themed dish, so here’s the latest one that’s putting colors on everyone’s tables and feeds: the unicorn noodle. 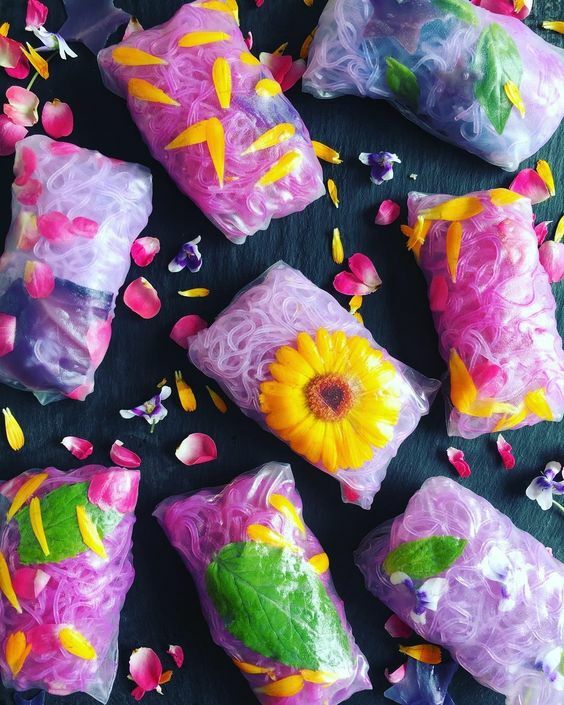 It’s a multi-colored noodle that is made into rolls or bowls.